Join fellow Harvard Alumni & Friends at the Sarasota Harvard Club's April 2019 Happy Hour !! Join fellow Harvard Alumni & Friends at the Sarasota Harvard Club's March 2019 Happy Hour !! Join fellow Harvard Alumni & Friends at the Sarasota Harvard Club's February 2019 Happy Hour !! Join fellow Harvard Alumni & Friends at the Sarasota Harvard Club's January 2019 Happy Hour !! Join fellow Harvard Alumni & Friends at the Sarasota Harvard Club's December 2018 Happy Hour !! Join Harvard Crimson and Yale Bulldog Fans from Sarasota, Manatee, and Charlotte Counties to watch the Annual playing of "The Game" @ Evie's Tavern in Sarasota! Join fellow Harvard Alumni & Friends at the Sarasota Harvard Club's October 2018 Happy Hour !! Join fellow Harvard Alumni & Friends at the Sarasota Harvard Club's September 2018 Happy Hour !! Join fellow Harvard Alumni & Friends at the Sarasota Harvard Club's August 2018 Happy Hour !! Join fellow Harvard Alumni & Friends at the Sarasota Harvard Club's July 2018 Happy Hour !! Join fellow Harvard Alumni & Friends at the Sarasota Harvard Club's June 2018 Happy Hour !! Join fellow Harvard Alumni & Friends at the Sarasota Harvard Club's May 2018 Happy Hour !! Join fellow Harvard Alumni & Friends at the Sarasota Harvard Club's April 2018 Happy Hour !! Cornell, Harvard, Penn & Princeton Clubs Classes 1980 to 2017 Special Networking Reception on Thursday, February 15, 2018 at Aloft Sarasota. Join fellow Harvard Alumni & Friends at the Sarasota Harvard Club's Happy Hour Reception with Harvard Alumni Association Executive Director, PHILIP LOVEJOY!! Join fellow Harvard Alumni & Friends at the Sarasota Harvard Club's January 2018 Happy Hour !! Join fellow Harvard Alumni & Friends at the Sarasota Harvard Club's December 2017 Happy Hour !! Join Harvard Crimson and Yale Bulldog Fans from Sarasota, Manatee, and Charlotte Counties to watch the Annual playing of "The Game" @ Libby's Cafe & Bar in Sarasota! Join fellow Harvard Alumni & Friends at the Sarasota Harvard Club's November 2017 Happy Hour !! Meet New Friends & Renew Acquaintances at Michael's on East. Listen to Kirk Boylston and enjoy a fine lunch with beverages. Join fellow Harvard Alumni & Friends at the Sarasota Harvard Club's October 2017 Happy Hour !! Join fellow Harvard Alumni & Friends at the Sarasota Harvard Club's September 2017 Happy Hour !! Join fellow Harvard Alumni & Friends at the Sarasota Harvard Club's August 2017 Happy Hour !! Join fellow Harvard Alumni & Friends at the Sarasota Harvard Club's FREE July 2017 Happy Hour !! Join fellow Harvard Alumni & Friends at the Sarasota Harvard Club's June 2017 Happy Hour & GNN!! Join fellow Harvard Alumni & Friends at the Sarasota Harvard Club's MAY 2017 Happy Hour!! Join fellow Harvard Alumni & Friends at the Sarasota Harvard Club's FREE APRIL 2017 Happy Hour !! Join us on Friday, 4/14/17, 11:30 am - 1:30 pm with Todd Bowden as he discusses his vision and areas of focus for the Sarasota County School District. TICKET SALES NOW CLOSED for 3/27/17 RED SOX vs ORIOLES BASEBALL GAME & PICNIC!! Red Sox v Orioles Baseball Game on March 27, 2017! Bring LOUD voice+Sense of Humor+Have Fun! Join fellow Harvard Alumni & Friends at the Sarasota Harvard Club's FREE March 2017 Happy Hour !! 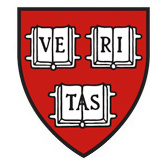 Join us on Friday, 3/10/17, 11:30 am - 1:30 pm for a discussion with Professor Timothy Patrick McCarthy, Director at Harvard Kennedy School for Human Rights Policy and Professor of American History as he speaks with us on "From Tom Paine to Twitter"
Join fellow Harvard Alumni & Friends at the Sarasota Harvard Club's FREE February 2017 Happy Hour !! On Friday, 2/24/17, 11:30 am - 1:30 pm, Professor Richard F. Thomas, George Martin Lane Professor of the Classics and Harvard Professor with the "Coolest Class on Campus" will speak on "Bob Dylan and Why He Deserves the Nobel"! Join fellow Harvard Alumni & Friends at the Sarasota Harvard Club's FREE January 2017 Happy Hour !! Join fellow Harvard Alumni & Friends at the Sarasota Harvard Club's FREE December 2016 Happy Hour !! Join fellow Harvard Alumni & Friends at Massimo Meda Art Gallery's FREE Art Viewing and Meet & Greet! Traditional Italian Christmas cake & wine will be served!! Join us on Friday, 12/9/16, 11:30 am - 1:30 pm for an engaging discussion with Dr. Herbert Kaufman, Professor of Ophthalmology, Pharmacology, and Microbiology Emeritus, LSU Medical School, on "What Do We Do About Drugs - Especially Pot, Pills, & Heroine?" Join fellow Harvard Alumni & Friends at the Sarasota Harvard Club's FREE November 2016 Happy Hour !! Join Harvard Crimson and Yale Bulldog Fans from Sarasota, Manatee, and Charlotte Counties to watch the Annual playing of "The Game" @ Mercato Pizzeria & Bar in Sarasota! Meet New Friends & Renew Acquaintances at The Field Club on beautiful Roberts Bay in Sarasota. Enjoy Sumptuous Hors d'Oeuvres & Cash Bar & Enter our raffle to win amazing prizes and support local students and school administrators! Join fellow Harvard Alumni & Friends at LIBBY'S CAFE for the Sarasota Harvard Club's October 2016 Happy Hour, Welcome to Your City event for new Harvard Alumni, and Sarasota's Harvard Business School's Global Networking Night!! Please join us @ Louies Modern in Sarasota for our Club's FREE September 2016 Happy Hour - Come join the fun!!! Join fellow Harvard Alumni & Friends at the Harvard Club of Sarasota's FREE AUGUST 2016 Happy Hour!! Join fellow Harvard Alumni & Friends at the Sarasota Harvard Club's FREE JULY 2016 Happy Hour!! Join fellow Harvard Alumni & Friends at the Sarasota Harvard Club's FREE June 2016 Happy Hour & Sarasota's Harvard Alumni Association Global Networking Night!! Join fellow Alumni & Friends of the Harvard & Northwestern Clubs of Sarasota for a combined evening of fun at Libby's!! Join fellow Harvard Alumni & Friends at the Harvard Club of Sarasota's FREE MAY 2016 Happy Hour!! Join fellow Harvard Alumni & Friends at the Sarasota Harvard Club's FREE April 2016 Happy Hour!! 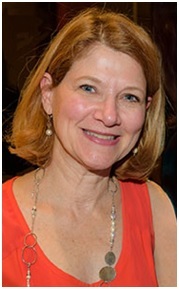 Join fellow Harvard Club of Sarasota members at "LIGHTHOUSE OF MANASOTA Art in the Dark" as we sponsor speaker DR. PATRICIA D'AMORE, PhD, MBA, FARVO from the Harvard Medical School, Mass. Eye & Ear Infirmary, and Schepens Eye Research Institute. Join fellow Harvard Alumni & Friends at the Sarasota Harvard Club's FREE March 2016 Happy Hour!! Announcing another fun-filled networking night with Harvard Alumni & Friends! 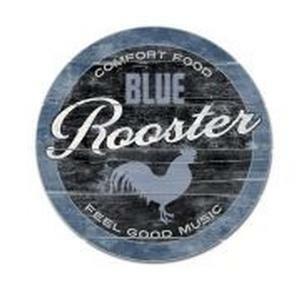 Join us at BLUE ROOSTER in Sarasota. Happy Hour Pricing & Dinner Available for purchase afterwards! Live Music begins at 7:30 pm! Announcing another fun-filled networking night with Harvard Alumni & Friends! No speakers. No agenda. Just plain fun! Join us again @ The Bijou Cafe in Sarasota. Happy Hour Pricing & Dinner Available for purchase afterwards! Join fellow Harvard Alumni & Friends at the Harvard Club of Sarasota's FREE December Holiday Happy Hour on Thursday, 12/17/15 at Libby's Cafe in Sarasota. Enticing Happy Hour Menu Items & Dinner Available for purchase afterwards! Join the Harvard Club of Sarasota for our December 2015 Luncheon, featuring Richard Russell, Executive Director of the Sarasota Opera! Join the Harvard Club of Sarasota for an Exclusive Evening with Jack Ablin: Author, Financial Market Analyst, Executive VP, Chief Investment Officer, and Head of Macro Strategy for BMO Private Bank throughout the US! Don't Miss This Opportunity! Join Harvard Crimson and Yale Bulldog Fans from Sarasota, Manatee, and Charlotte Counties to watch the Annual playing of "The Game." Sarasota Ale House, 3800 Kenny Drive, Sarasota — Bring The Kids! Lunch off the menu. Join Friends and Fellow Ivy League Alumni on Thursday, 11/19/15 for Happy Hour at Kona Grill (University Town Center). Enticing Menu Items & Dinner Available for purchase afterwards! Welcoming all Ivy League and Little Ivy graduates 1980 to present! Join the Harvard Club of Sarasota for our November 2015 Luncheon, featuring Lee Dougherty Ross, Soprano, Pianist, and Co-Founder of the Artist Series Concerts of Sarasota and Jason Stearns, Metropolitan Opera Baritone! Meet New Friends & Renew Acquaintances at The Field Club on beautiful Roberts Bay in Sarasota. 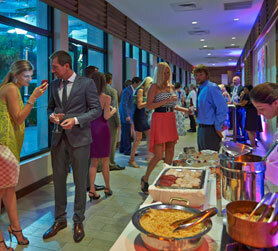 Enjoy a Sumptuous Hors d'Oeuvres & Cash Bar! Enter our raffle to win Dinner for 2 @The Field Club-proceeds donated to support local educational opportunities! 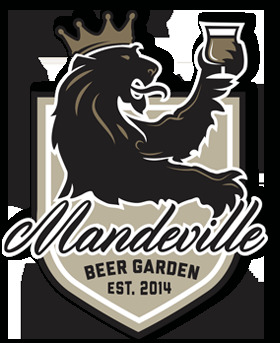 Join fellow Harvard Alumni & Friends at the Harvard Club of Sarasota's HBS GLobal Networking Night on Wednesday, 10/21/15 at the Mandeville Beer Garden in Sarasota. Enticing Menu Items & Dinner Available for purchase afterwards! Join fellow Harvard Alumni & Friends at the Harvard Club of Sarasota's monthly Happy Hour on Wednesday, 9/16/15 at Libby's Cafe & Bar in Sarasota. Happy Hour Pricing & Dinner Available for purchase afterwards! Announcing another fun-filled networking night with Harvard Alumni & Friends! No speakers. No agenda. Just plain fun! Join us @ The Bijou Cafe in Sarasota. Happy Hour Pricing & Dinner Available for purchase afterwards! On this night , Harvard Alumni around the world gather at local venues to reconnect, network, and make new friends! No speakers. No agenda. Just plain fun! Join us @ Louies Modern - Happy Hour Pricing prevails! THURSDAY March 19—Meet Sarasota's Rock Star, Anu Tali, Sarasota Orchestra Musical Director. She and her twin sister founded the Nordic Symphony Orchestra. What's The Strategic Plan for the Sarasota Orchestra? Hors d'ouevres Buffet+Cash Bar. Harvard College Admissions Officer Kanoe Williams Top 10 Tips for Interviewing Freshman Applicants. Case Studies can help students "jump off the page". Meet local Principals and Counselors at dinner to understand "How Can Harvard Alumni Help You."